Large, branched, cont.= 8,5 cm - A slow growing South African species with swollen purple leaves, with grey-purple blotches, and undulating leaf apex. It will enjoy some light shade in the hottest months. 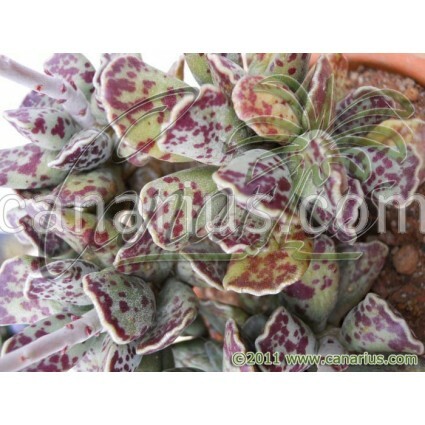 This is a slow growing South African species with swollen purple leaves, with grey-purple blotches, and undulating leaf apex. Adromischus cooperi has tubular pink flowers. Height 8-15 cm. It will enjoy some light shade in the hottest months. 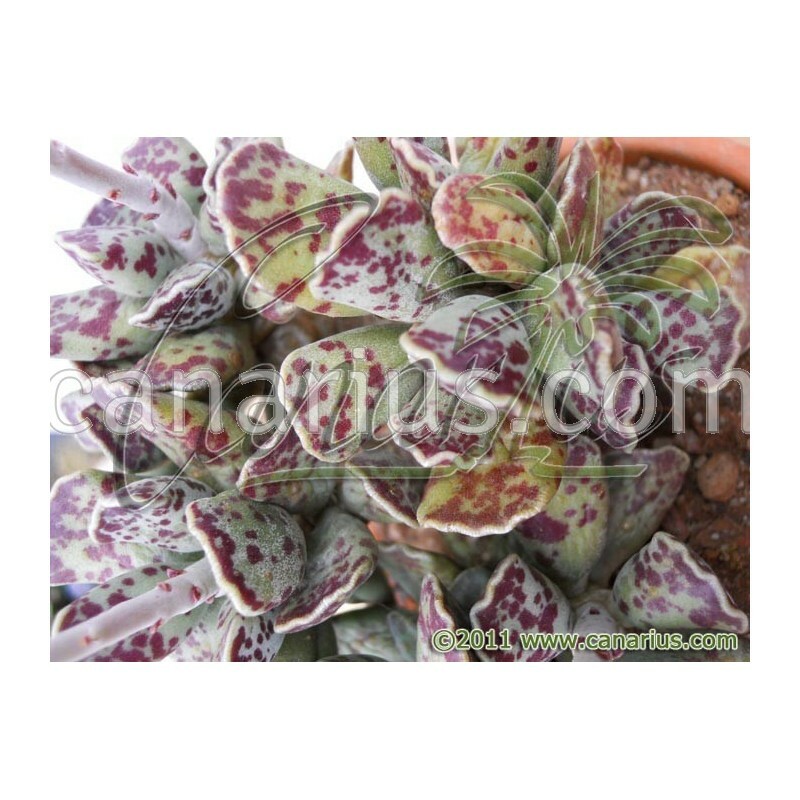 We offer a plant of the following size: Large, branched, Cont.= 6-8 cm. Container size will just give you an idea of the size of the plant, because Crassulaceae are sent bare root. These plants are very tolerant of bare-rooting. We ship worldwide.